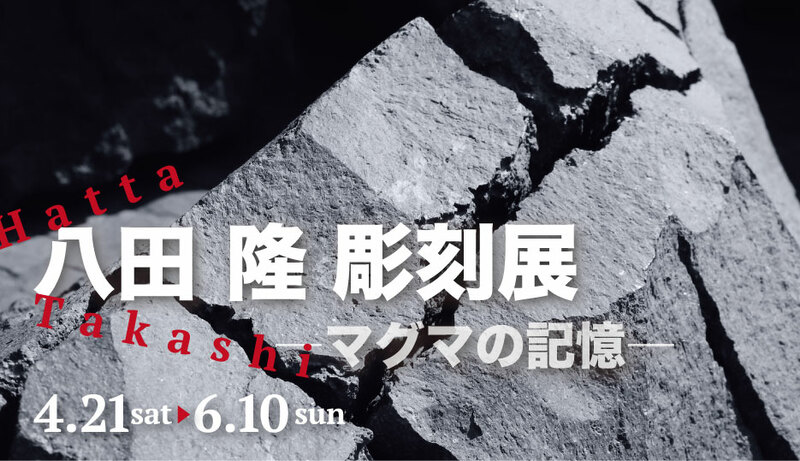 Takashi Hatta makes art work out of volcanic rocks from the Sakurajima volcano in Kagoshima. 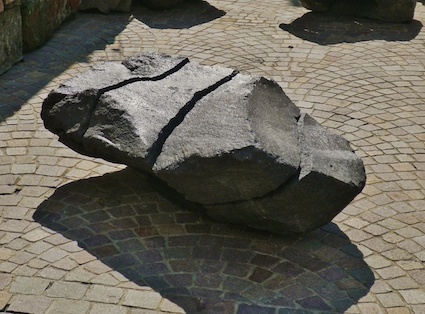 Through the art space, a delicate arrangement of rough rocks, one can feel both the beauty created by the blank spaces and the solid presence of the art. 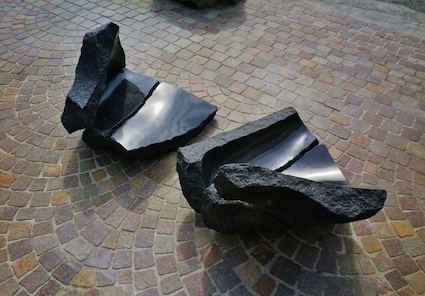 While the artist battles the fear that using one’s own hands will tarnish the natural beauty of the solid lava, through adding a human touch to the distinctive atmosphere of the rocks, his pieces -influenced by minimalism and Mono-ha art styles unique to Japan- become sublimated into shapes that transgress words. (Recorder: Yoshimine Fumiharu) 1pm and 3pm; each performance will be about 20 min. Born in Kagoshima, Takashi Hatta majored in sculpture at Tama Art University. 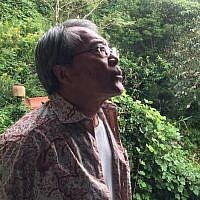 He worked in the Kanto region but in 1998, after working on a piece for the Kagoshima Prefectural Office and staying in the area for four months, he decided to move back to Kagoshima.